The Okinawa i-Praise becomes the fourth scooter in the homegrown electric scooter manufacturer's product portfolio. Domestic electric-scooter manufacturer Okinawa has launched its third model, the i-Praise, at an ex-showroom price of ₹ 1.15 lakh. The i-Praise, as suggested by its moniker, is an 'intelligent' version of the company's earlier offering, the Praise. However, a jump of ₹ 43,540 over the ex-showroom price of the Praise (Big-disc model) seems to be a bit too steep. Despite the exorbitant price tag, Okinawa claims that the i-Praise has already garnered around 450 bookings during its pre-launch phase. The i-Praise features a 2.9kWh detachable lithium-ion battery with a claimed charging time of 2-3 hours. This is significantly less than the 6-8 hour charging time required for the standard lead-acid (VRLA) battery in the Praise. However, the idea of a detachable battery has led to the i-Praise only offering a 7-litre boot, way less than the Praise's 19.5-litre boot. On the upside, the lithium-ion battery pack weighs less than a conventional VRLA battery, making the i-Praise 30-40 per cent lighter than other e-scooters in the market. 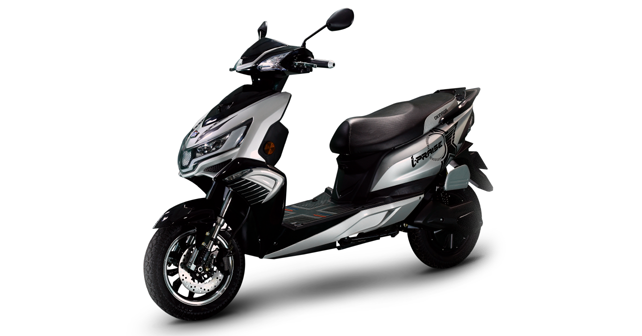 On a full charge, the i-Praise offers a claimed range of 160-180km and can hit speeds of up to 75kph in Turbo mode. However, we are yet to see how closely do the real-world figures match up to these. The i-Praise also offers ground clearance of 175mm, 5mm more than the Praise. Coming to the i-Praise's 'intelligent' aspect, it gets a smartphone connectivity feature through the Okinawa app which allows riders to access features like geo-fencing, SOS notifications, battery health tracker, vehicle stats and service/insurance reminders, to name a few. Like the Praise, the i-Praise is also offered in two versions: A big-disc brake and a small-disc brake version.